Oh hi!!! 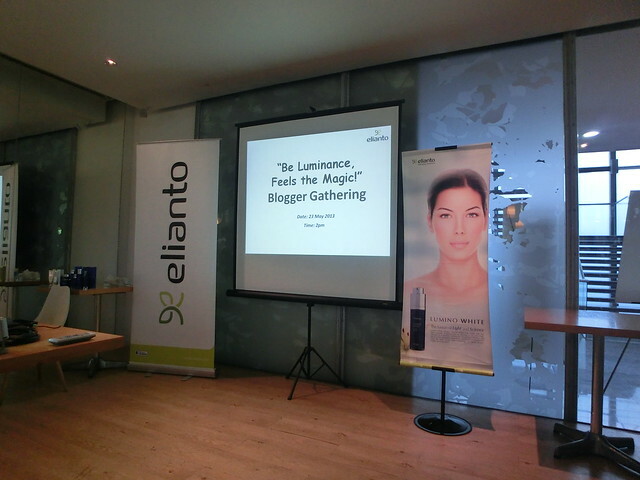 I wanna be as efficient as possible so that's why I'm here to blog about a blogger gathering which is organized by Elianto and Mivva this afternoon. Special thanks to Michelle from Mivva for the invitation to such a nice event on a blissful day! 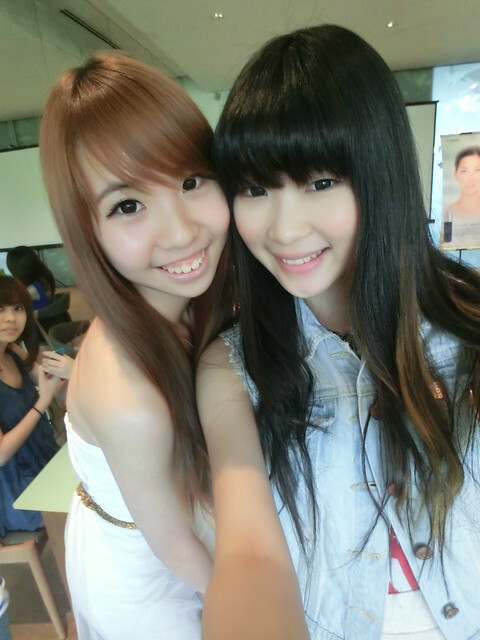 I tagged along Melissa♥ as well because she is definitely a nice companion! 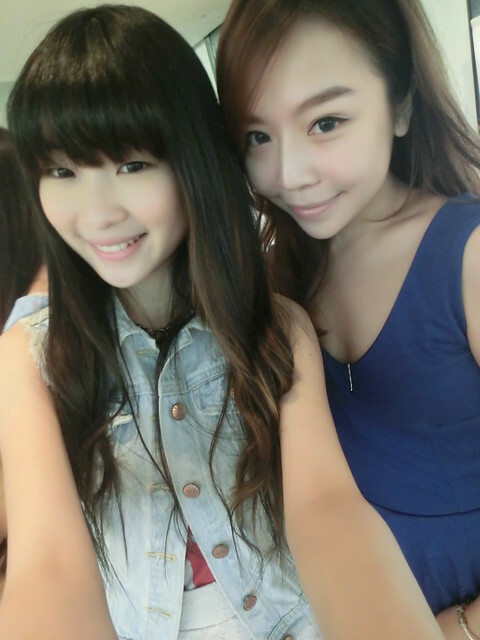 Also, thank you baby Melissa for fetching me again!! 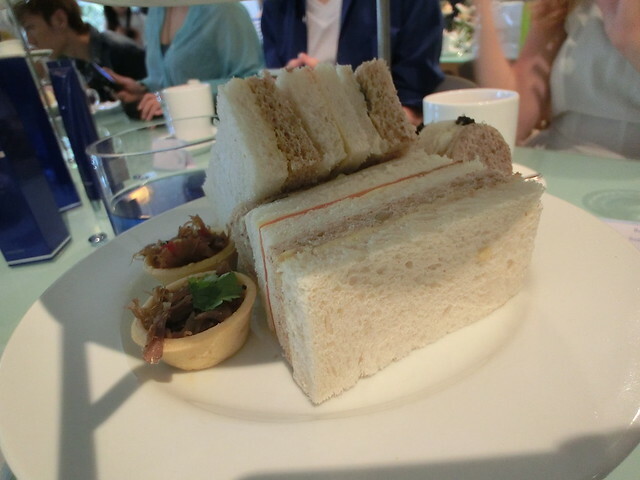 Due to the traffic congestion on the busy streets, we reached our destination, Delicious @ Duo Residency slightly late. 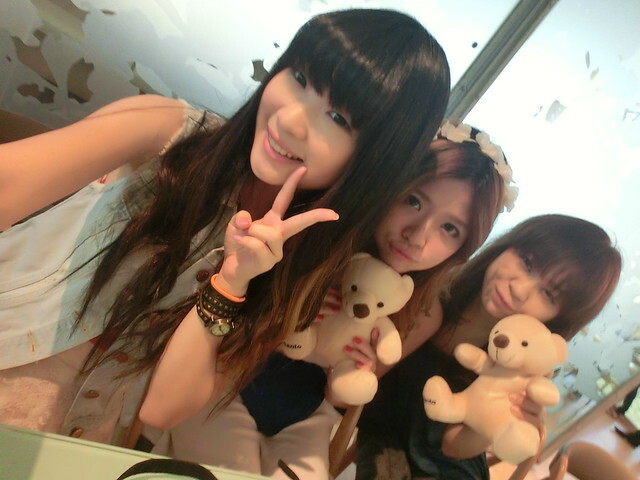 Luckily, the event hasn't started yet when we reached there, otherwise we would have missed out a lot of fun! 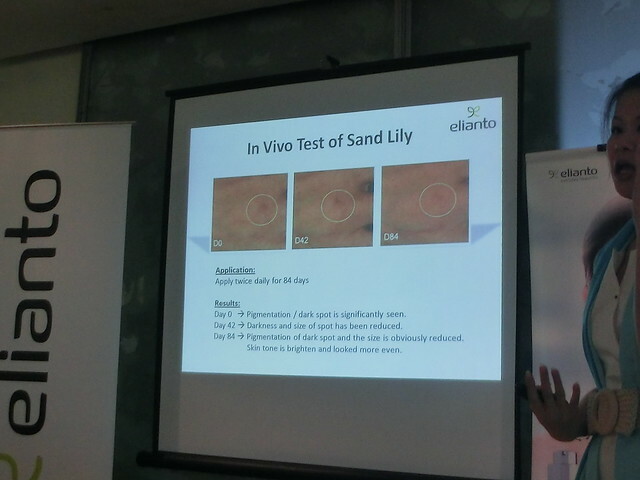 I'm pretty sure everyone knows ELIANTO right? 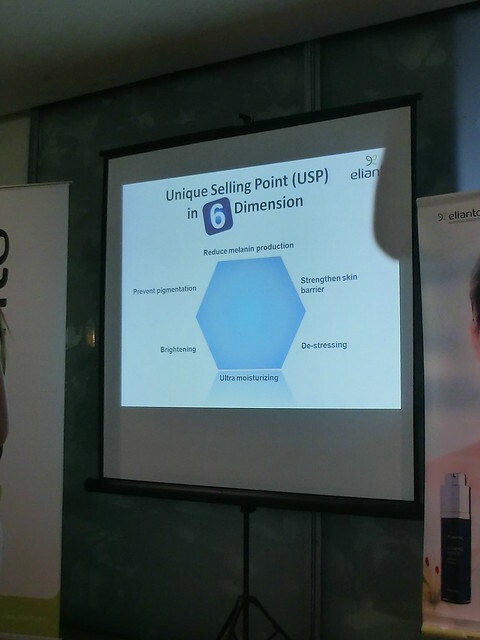 Elianto is well-known for their skincare products as well as cosmetics as they use the finest and the most natural ingredients in making their products! 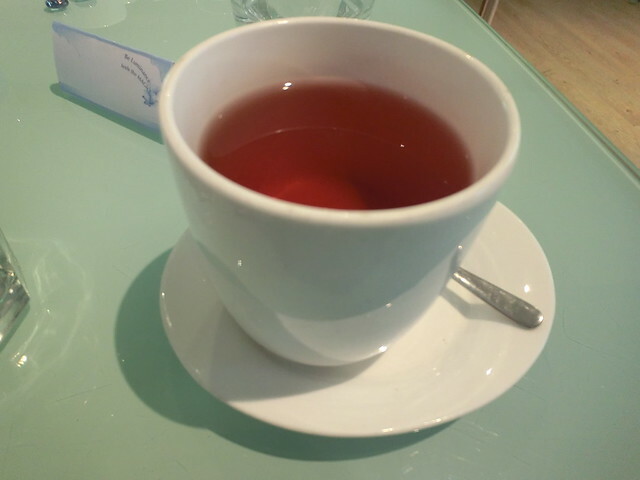 All of us were served with hot tea and sky juice. 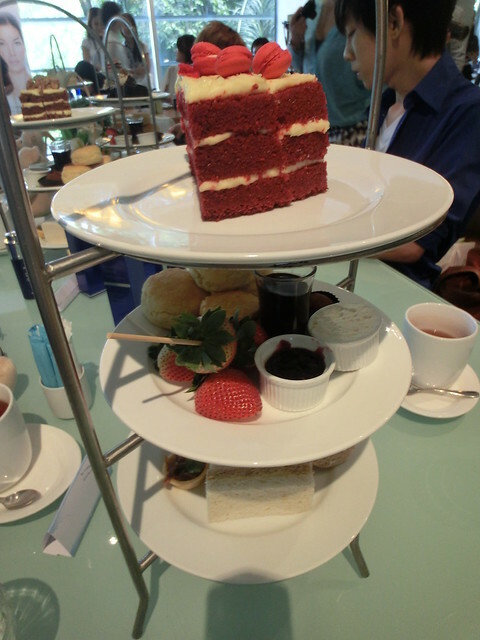 We were also greeted by all these gorgeous blue bottles once we were seated! Say HIIII to the Lumino White family! Look what we have found on our seat! Cutest door gift from Elianto! This little Teddy drove every girl crazy la! 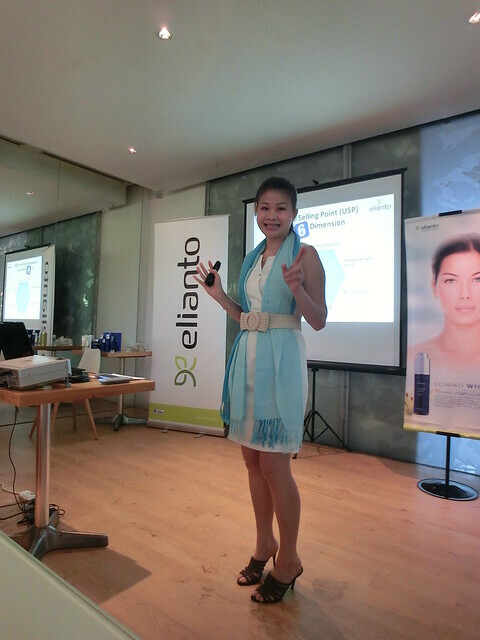 The event officially started at 2.45pm with a short speech given by a representative from Elianto! 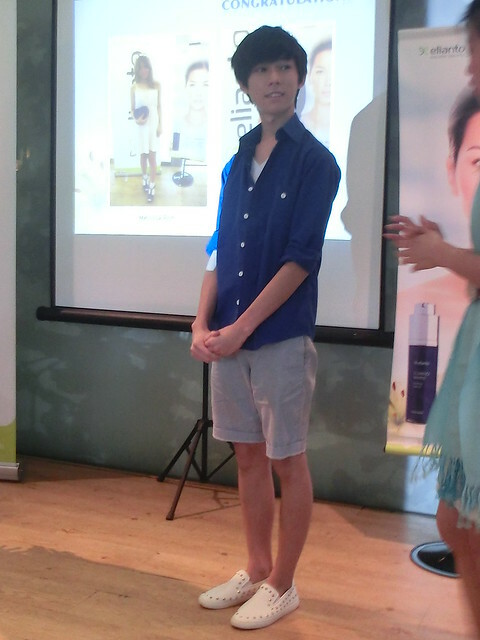 Then, she handed the stage over to the beauty trainer, Jane. 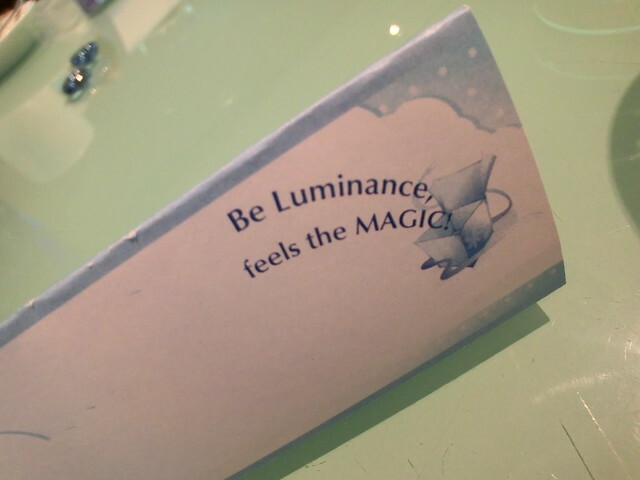 So this is Jane, who gave us a brief description about what Lumino White is! 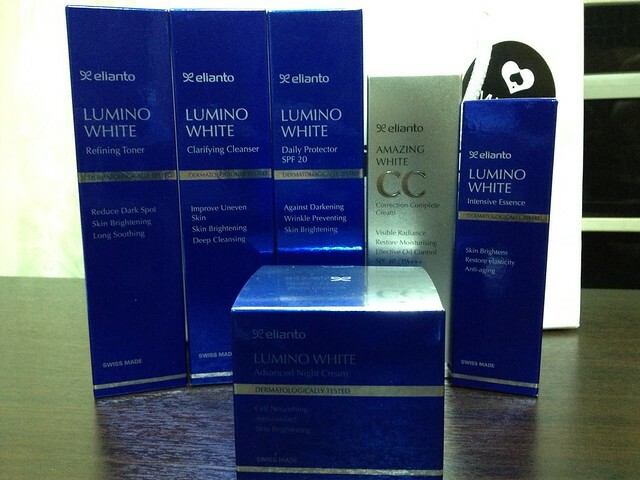 These are the reasons why you should choose Lumino White! 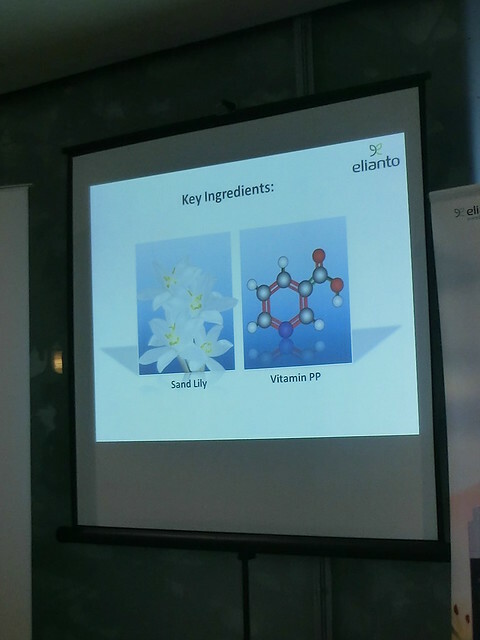 Sand Lily and Vitamin PP (also known as Vitamin B3) are the main ingredients used in manufacturing the skin care products of the Lumino White series. 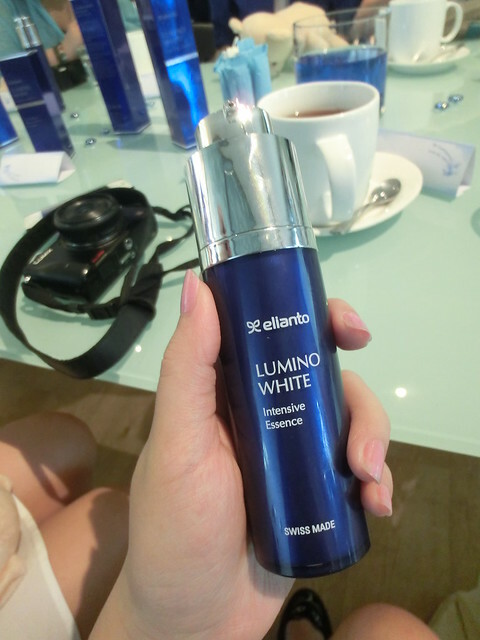 Skin tone will be brightened and pigmentation of dark spots will be reduced after applying the Lumino White brightening product for 84 days! 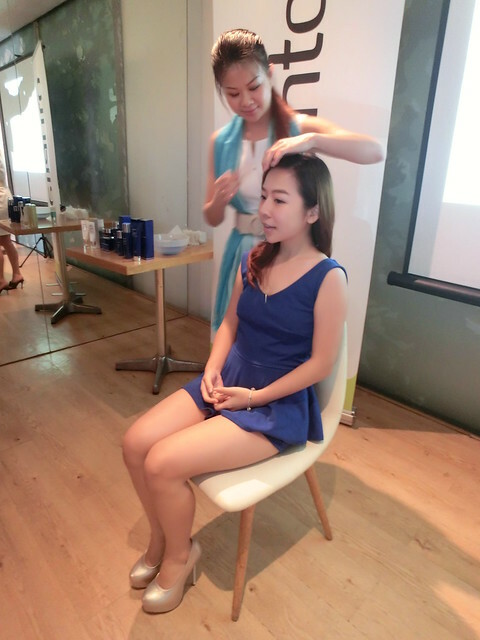 We had the opportunity to test all the products on the spot to witness the effectiveness! Non-greasy and very hydrating indeed! 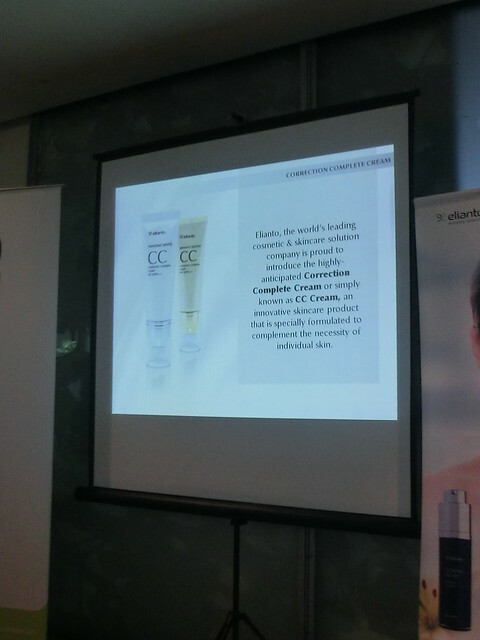 Apart from the skincare products, Elianto also introduced us the CC Cream a.k.a Complete Correction Cream! It helps us to achieve a flawless look by giving us a fairer complexion and a balanced skin tone. Besides, it also helps to protect our skin from harmful UV rays!! 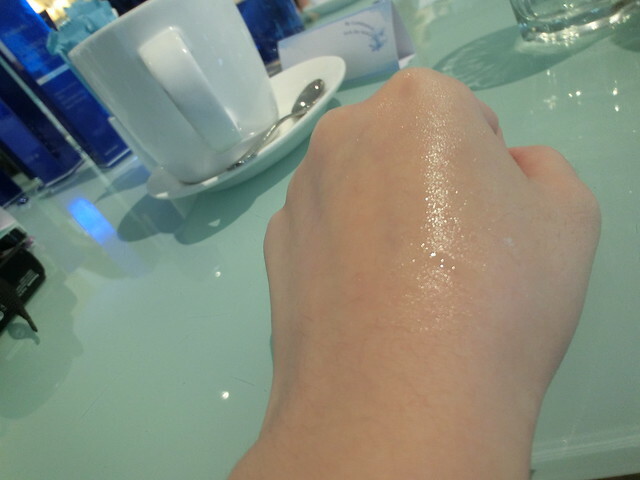 After testing all the products on my hand, I think the products really help in giving full hydration to my skin. 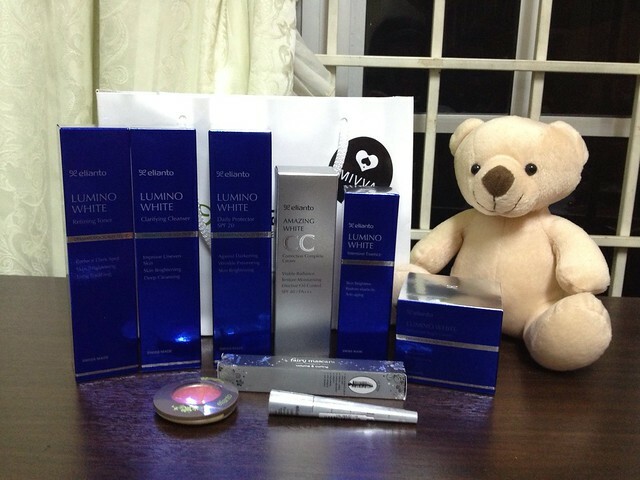 Not forgetting to mention, the products give me a glowing skin too! 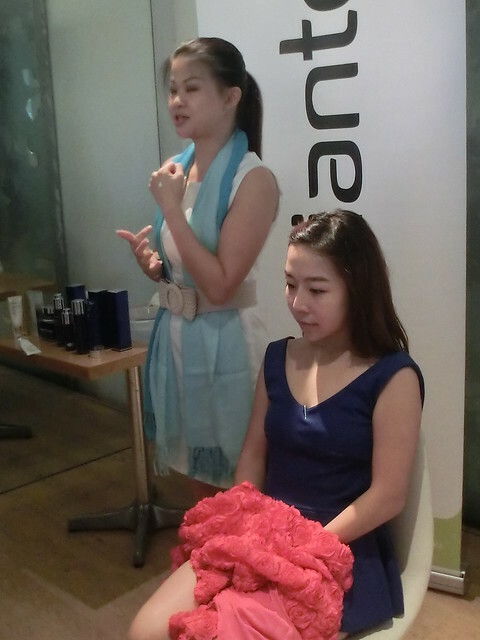 After that, Chenelle was invited to do a demonstration with Jane using all the Lumino White products. Chenelle had removed all her makeup except the makeup around her eyes, which means she has zero foundation/makeup base/concealer on her face. But her skin looks super good even without makeup lol. 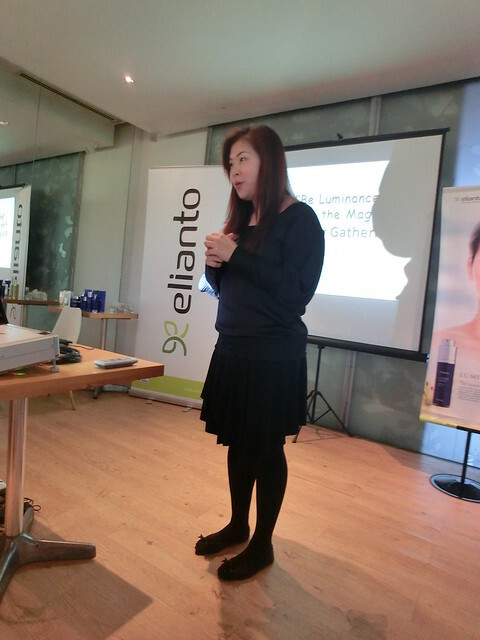 Okay so, Jane started off cleansing her face using the Lumino White Clarifying Cleanser first! The next step is of course applying the toner! 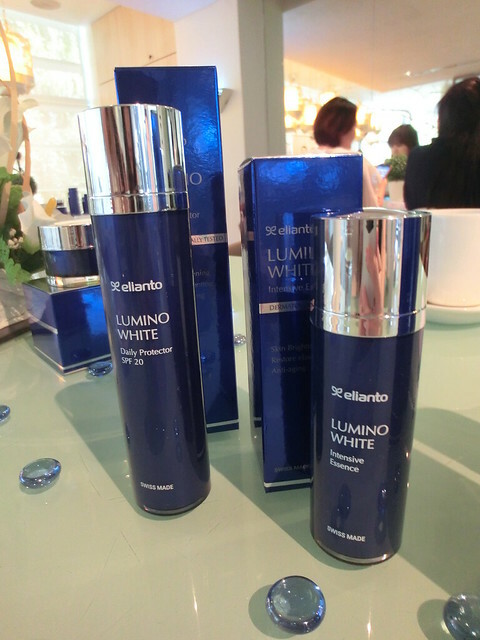 Next, apply the Lumino White Intensive Essence to replenish skin moisture and prevent pigmentation. 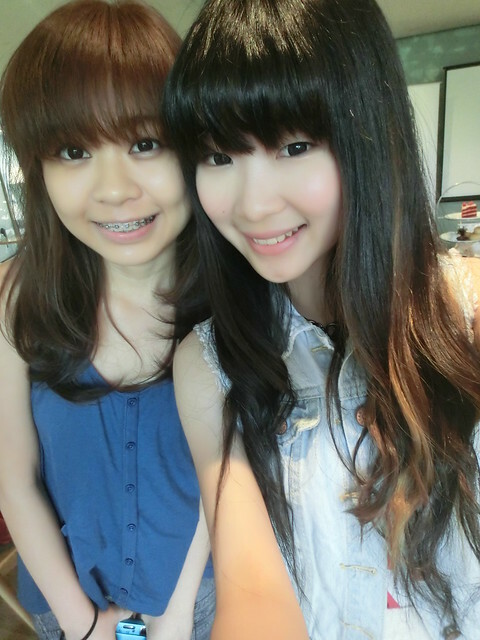 This is how Chenelle looks like after applying all the skincare products including the CC cream! She looks gorgeous!! 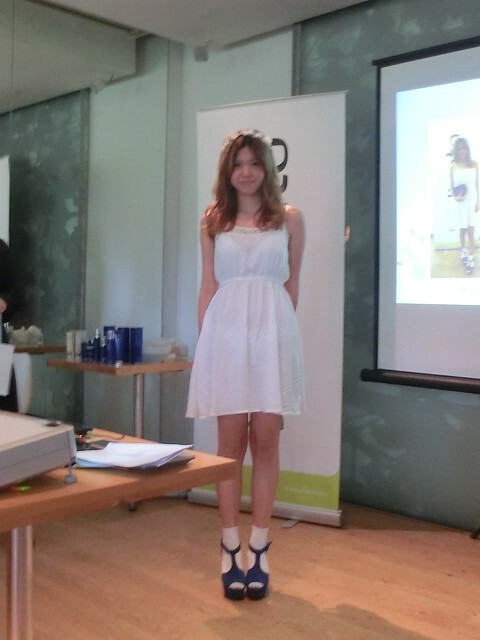 Then it's time for Quizzes and Prize-giving ceremony for the best dressers! 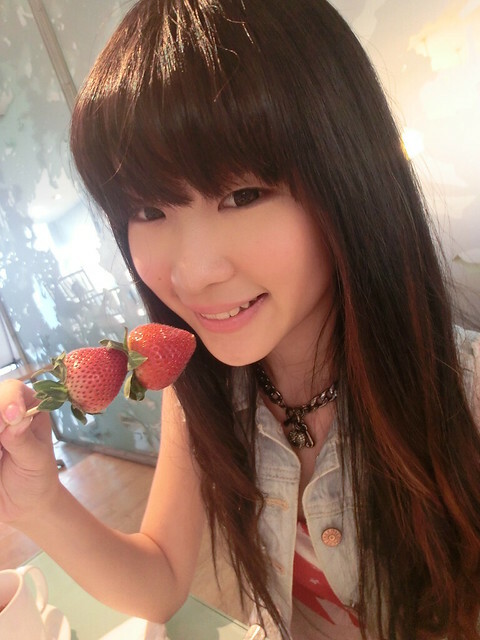 MELISSA POH. HAHHAHAHAHAHA CONGRATS MY DEAR I KNEW IT BELONGS TO YOU! Her outfit matches with the dress code (Blue and White) exactly! 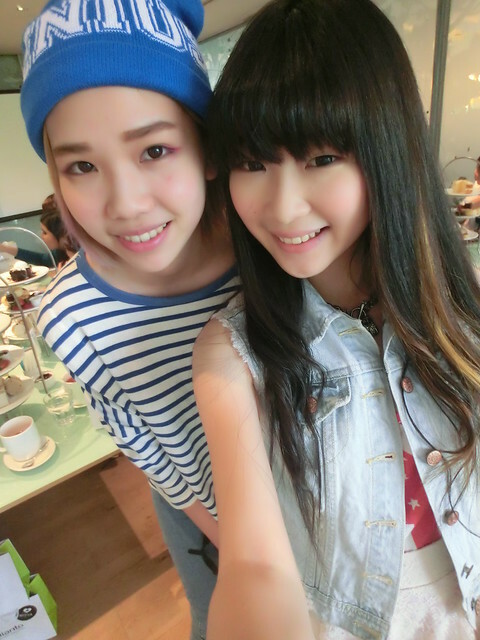 With Chenelle! It's my second time meeting her and she looks super pretty! 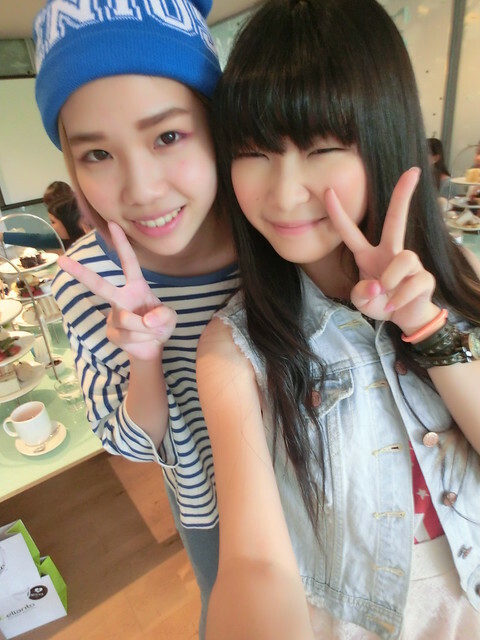 With Kahmon, who claimed that she has met me before but regrettably I didn't have any impression! 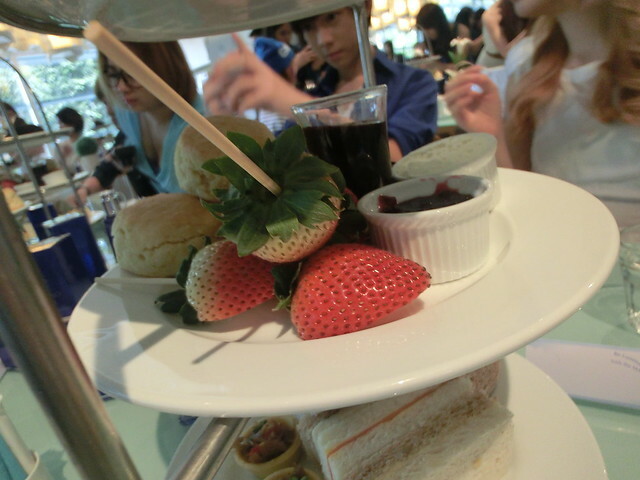 With Chanwon! I love her hair which always looks silky and smooth! 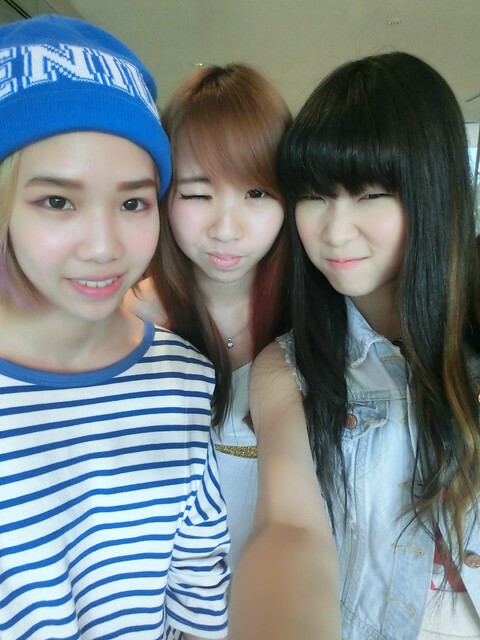 Ashley, Chanwon and yours truly. 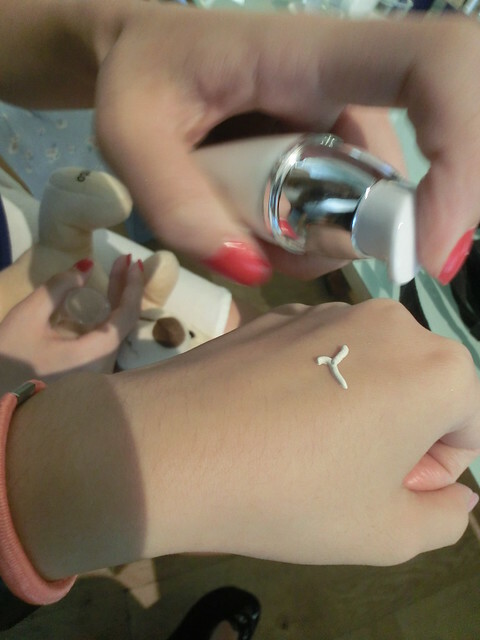 And Ashley kept saying that my camera "cheats people one" because of the makeup mode HAHAHAHA. Guess what?! 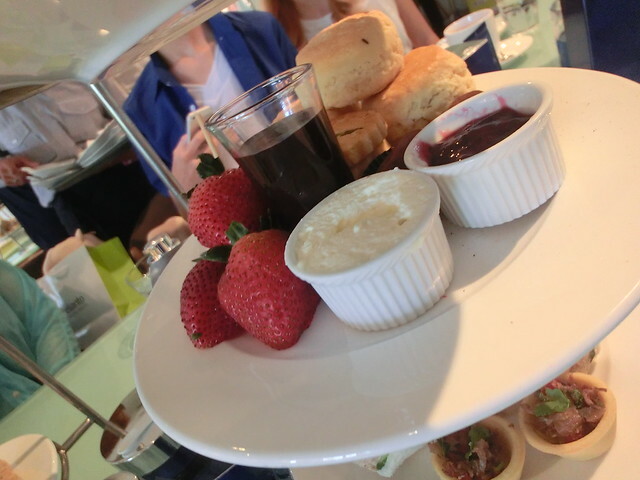 We were served by Delicious' High Tea set, thank you Delicious for the sponsor!! 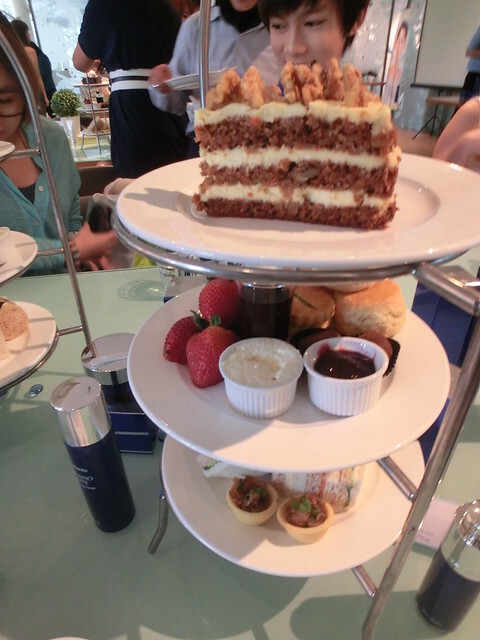 Delectable treat oh nom nom! 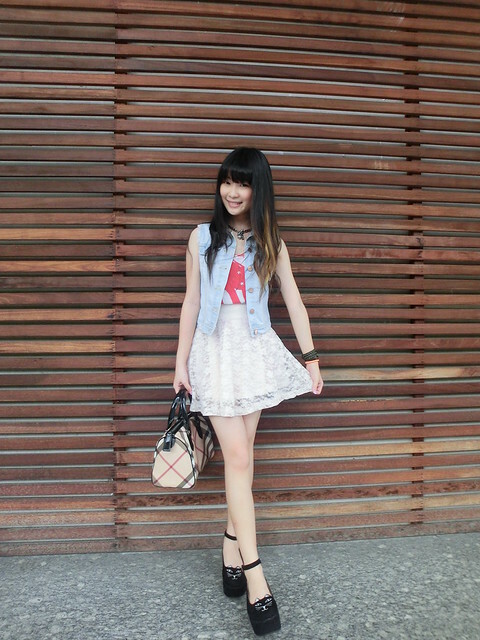 My #OOTD is all from H&;M, except the Kitty platforms lolol. Can't wait to try all the products and maybe I will come up with a blog review soon? Stay tuned and thanks for reading!!! !